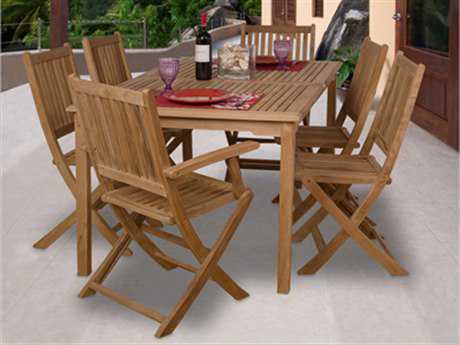 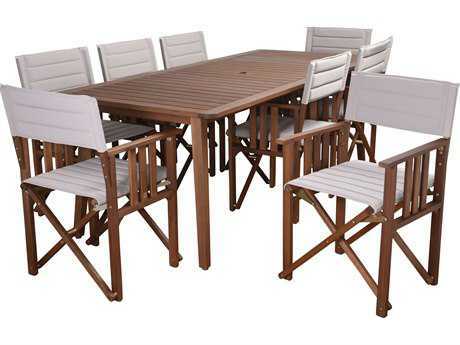 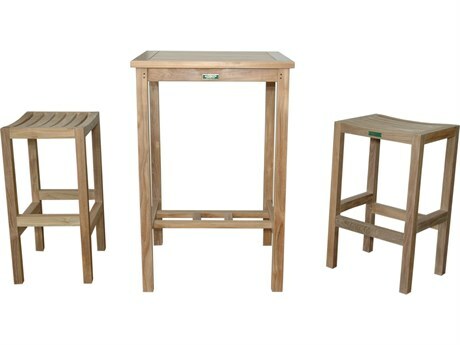 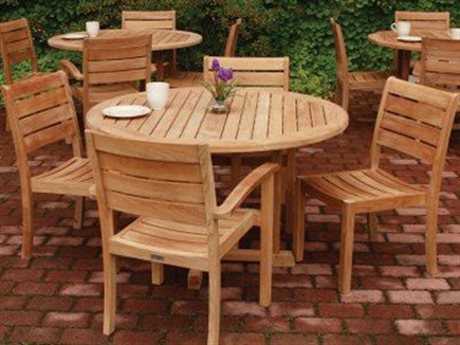 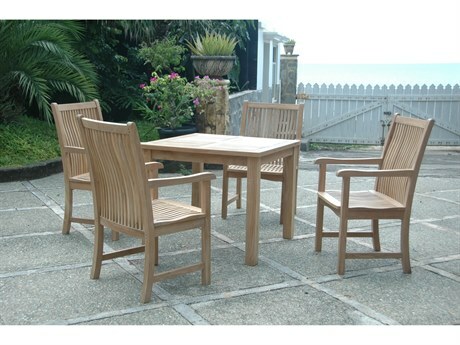 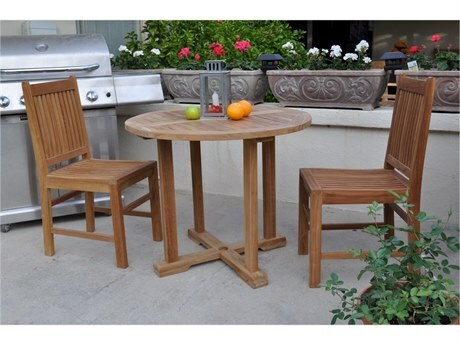 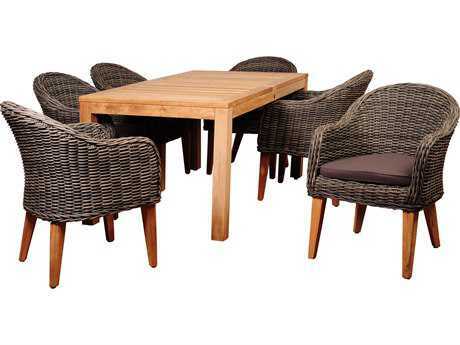 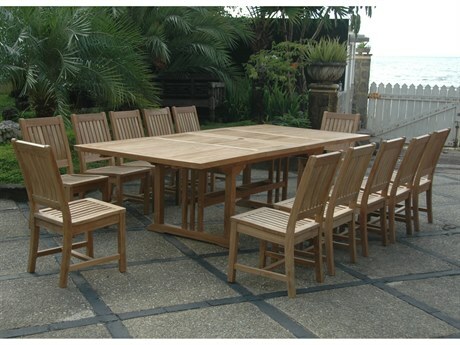 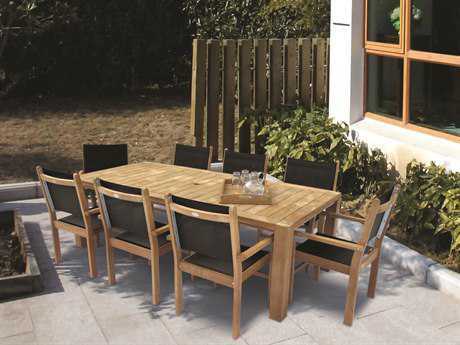 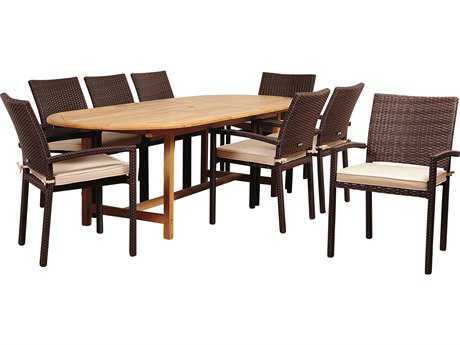 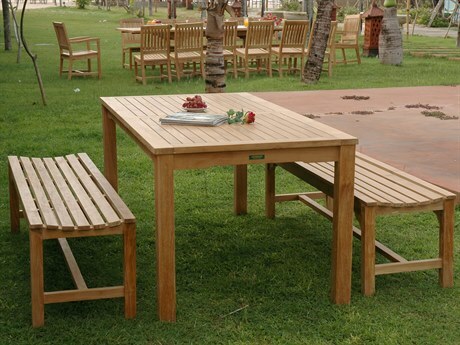 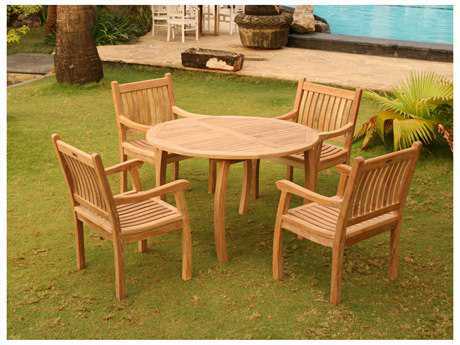 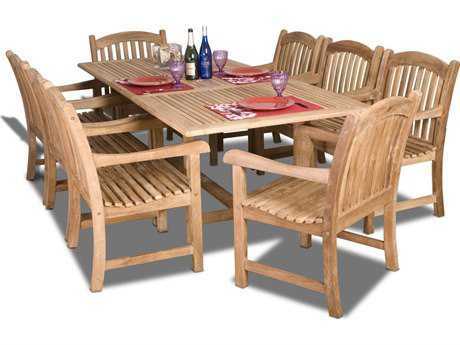 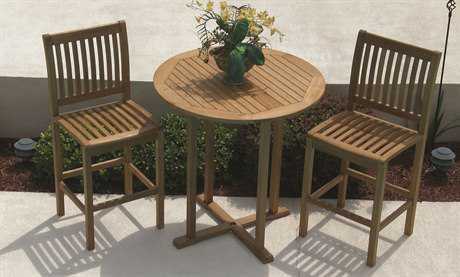 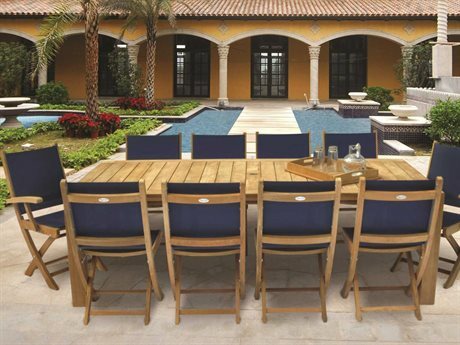 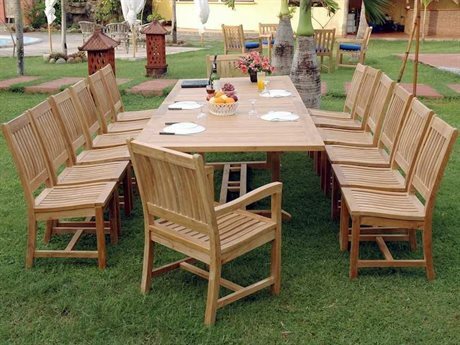 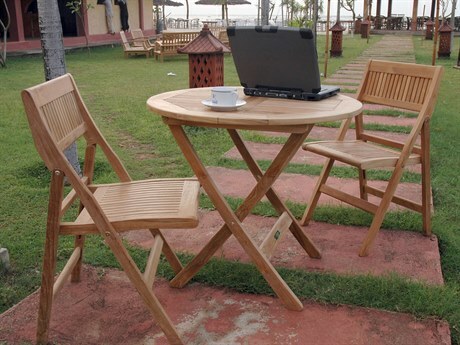 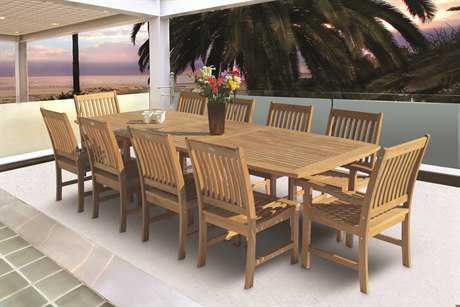 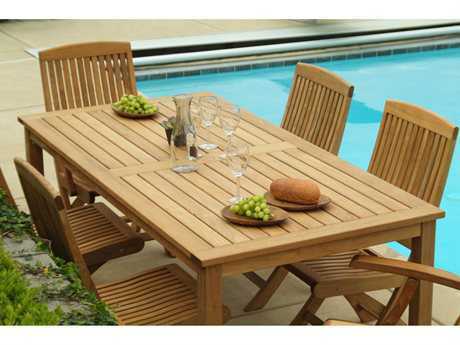 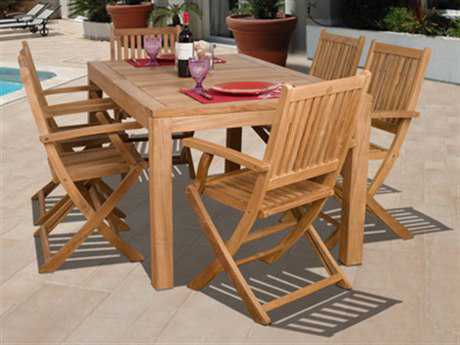 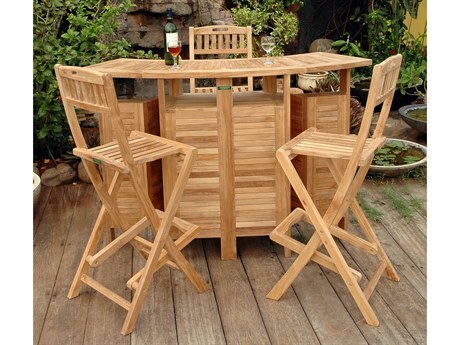 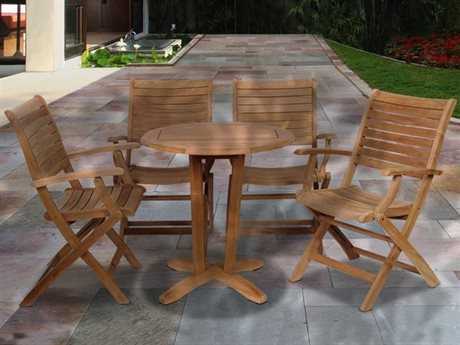 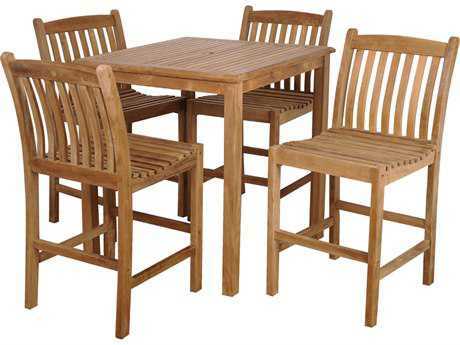 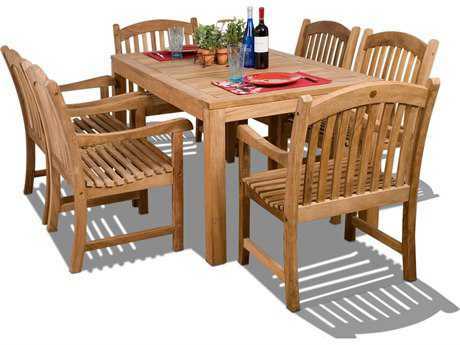 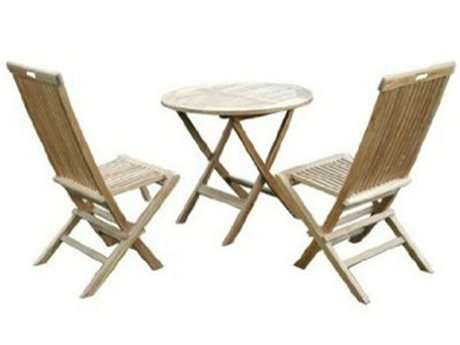 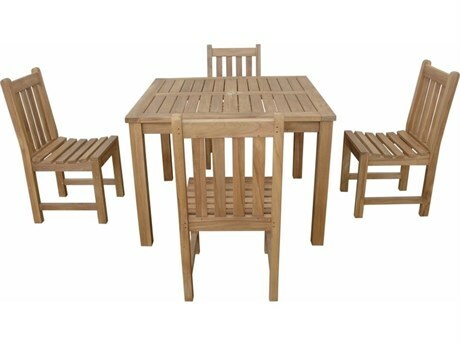 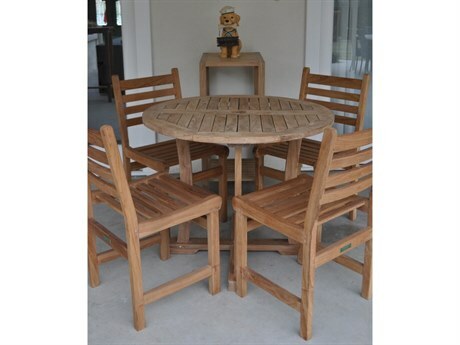 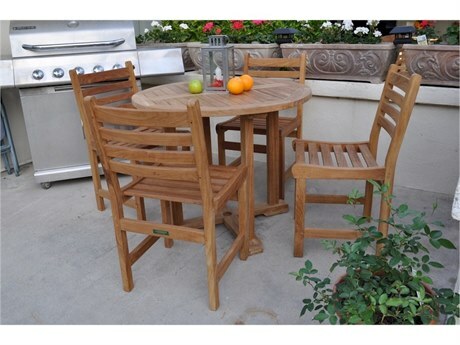 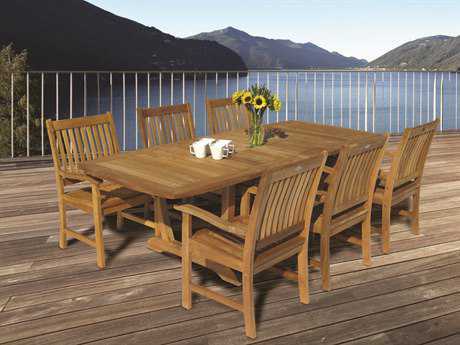 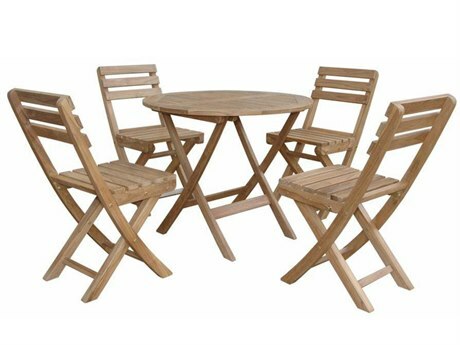 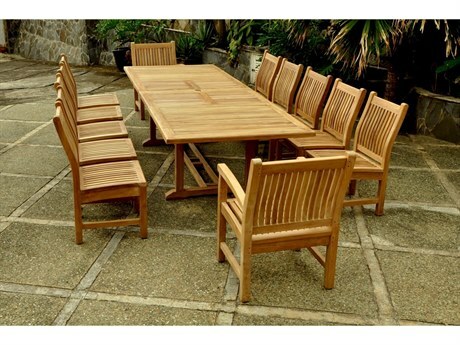 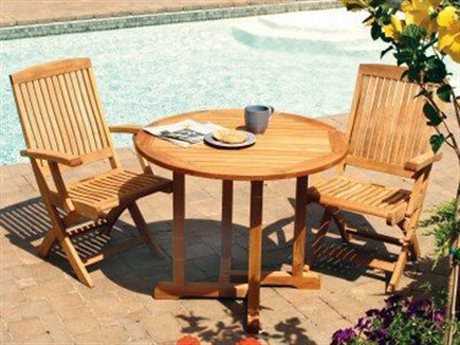 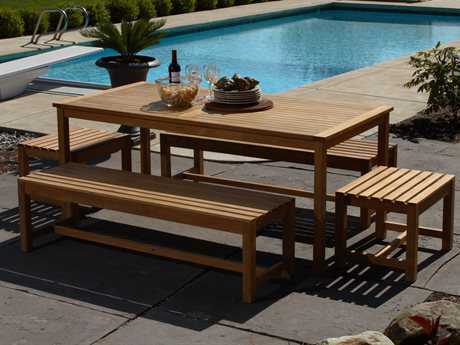 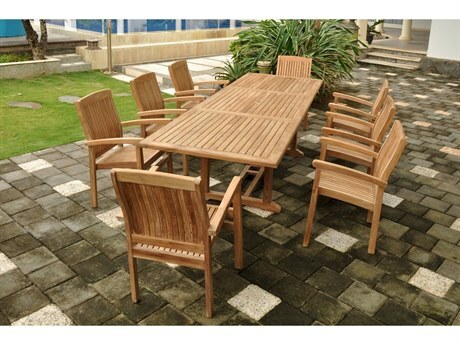 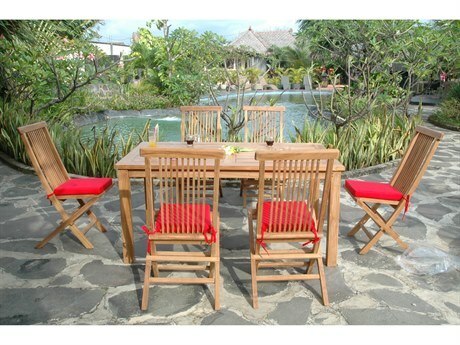 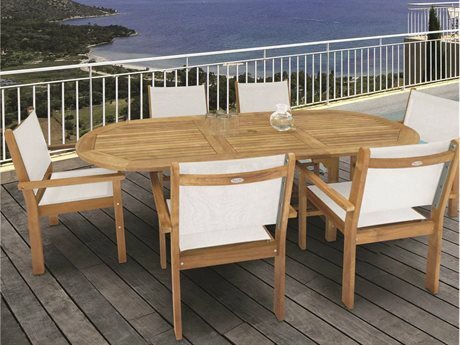 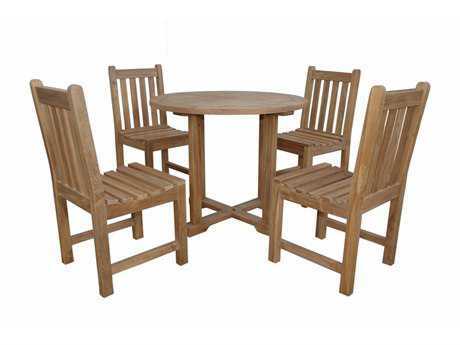 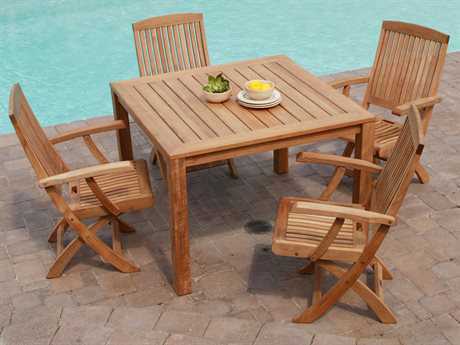 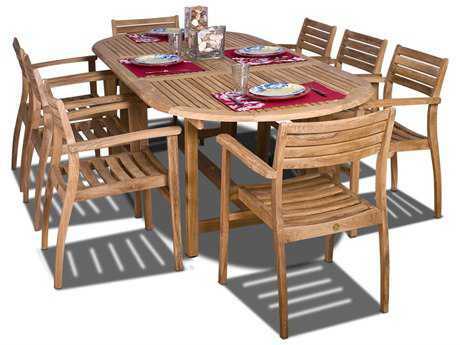 Teak outdoor dining sets give a natural, classic look to any patio space. 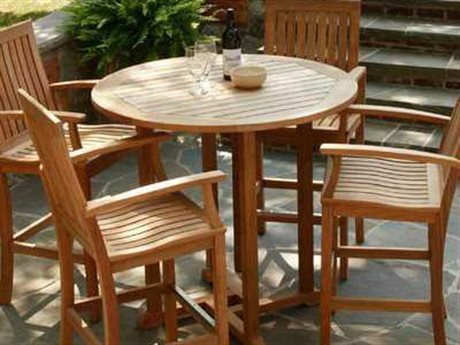 Patio dining sets are great for people who like to entertain guests, enjoy dining al fresco, or just relax and soak up the outdoors. 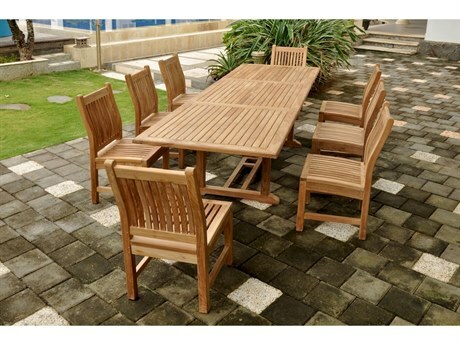 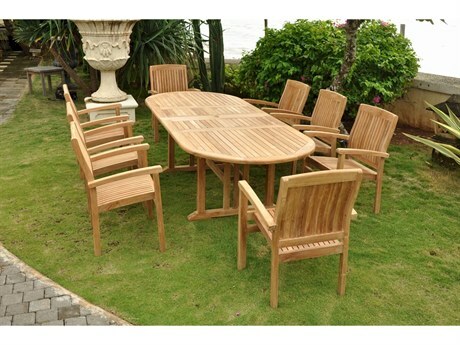 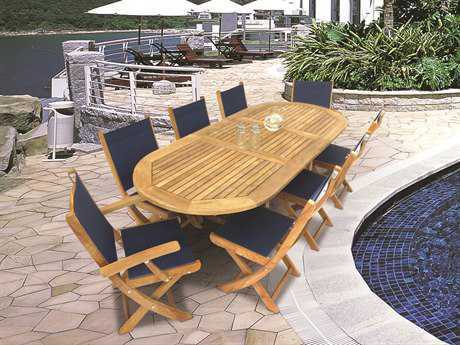 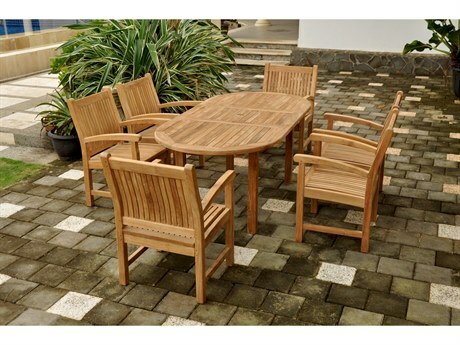 Teak outdoor dining sets in particular are special because they are made of teak, a dense, tropical hardwood that is extremely durable, easy to clean, and mildew resistant. 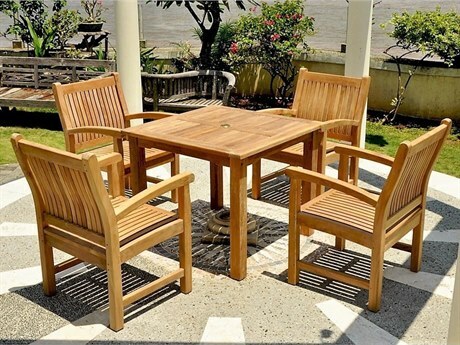 Teak furniture is a great investment for anyone who desires long lasting outdoor furniture that can withstand the sometimes harsh outdoor conditions. 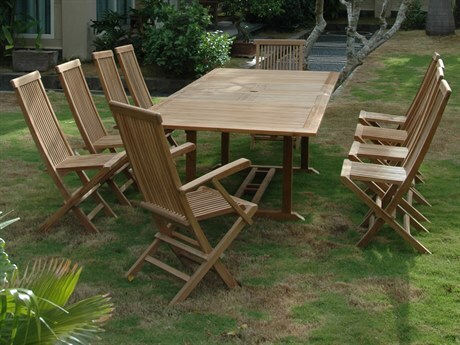 Teak outdoor dining sets can be complemented by an umbrella, lounge set, chaise lounge, or other patio furniture to create an outdoor patio fully equipped for your next get together. 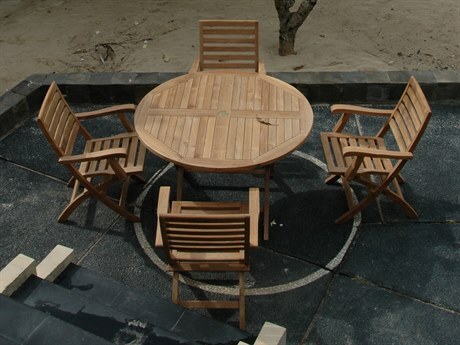 For more information on outdoor materials like teak, check out our Outdoor Materials Buying Guide.